He died in Los Angeles after a short illness, his film producer son-in-law Cleve Landsberg told Associated Press. 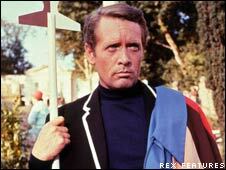 McGoohan played the character Six in the surreal 1960s show, filmed in the north Wales village of Portmeirion. The first came for an episode of the series in 1974, with another 16 years later. The screen star also won a Bafta award for best television actor in 1959 for his role in The Greatest Man In The World, a one-off drama in ITV's Armchair Theatre series. In more recent years, McGoohan played King Edward Longshanks in the 1995 Mel Gibson film Braveheart. 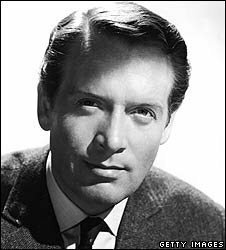 The actor, who was born in New York and raised in England and Ireland, came to screen prominence in TV series Danger Man, in which he played a secret service agent. The programme later aired as Secret Agent in the US. He was later considered for the role of James Bond for the movie Dr No. 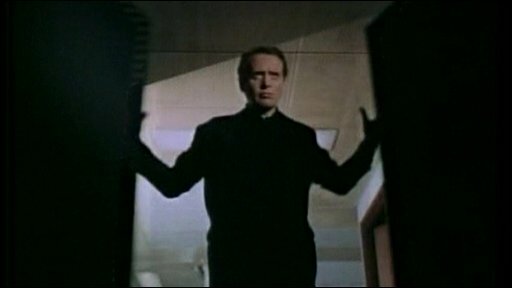 But McGoohan was chiefly associated with cult ITV drama The Prisoner, writing some of the episodes himself under a different name. His character spent the entire time attempting to escape from The Village and finding out the identity of his captor, the elusive Number One. He repeatedly declared: "I am not a number - I am a free man!" In 2000, McGoohan reprised his most famous role in an episode of The Simpsons. Residents of Portemeirion, which has its own The Prisoner shop selling memorabilia from the show, have paid tribute to the star. Councillor Dewi Lewis said: "It helped to put Portmeirion the village on the map during the 60s and we are still benefiting from that today." "Mr McGoohan is held in high esteem in the area for the work he did - it still has a loyal following of people who come to Portmeirion annually." Robin Llywelyn, managing director of the Portmeirion village resort, added: "What he created out of The Prisoner is a lasting piece of TV at its best - it achieved cult status. It's something that we are very proud of." Last year, ITV confirmed that Passion of the Christ star Jim Caviezel would take the role of Number Six in a remake of The Prisoner, which will also star Sir Ian McKellen. "His [McGoohan's] creation of The Prisoner made an indelible mark on the sci-fi, fantasy and political thriller genres, creating one of the most iconic characters of all time," AMC, which is co-producing the remake, said in a statement. "AMC hopes to honour his legacy in our re-imagining of The Prisoner." McGoohan's last role came in 2002, as a voice artist in animated picture Treasure Planet.